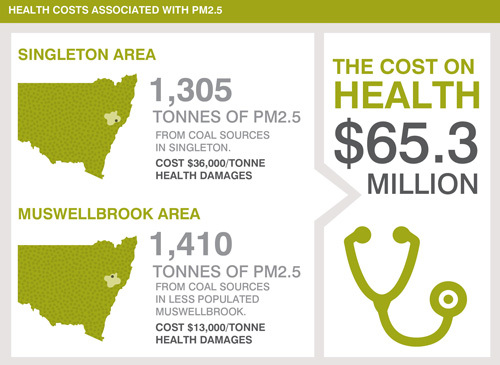 The Climate and Health Alliance is calling for the NSW government to phase out coal mining and coal-fired power generation in the Hunter Valley based on the findings of a research report that shows the coal industry there is creating an annual medical bill of around $600 million due to the impacts of pollution and 348 million tonnes of carbon dioxide emissions a year – Australia’s largest single source of CO2. Alongside the report, CAHA has released a set of policy recommendations including the prohibition of new coal projects, a long-term social and economic transition plan for the region, and stricter air quality measures to reduce exposure to current and future coal-related pollution hazards. It also recommends that the government mandate health impact studies for any coal development, and that a more detailed assessment of health impacts be undertaken. CAHA has also written an open letter to the NSW premier calling for a phase out of coal activities in the region, and for a firm state government commitment to not approving any new coal projects. The letter has been signed by some of Australia’s leading scientific and medical experts including Professor Fiona Stanley, Professor Tim Flannery, former NASA scientist Professor James Hansen, chair of Doctors for the Environment Professor Kingsley Faulkner, and Professor Nick Higginbotham from the University of Newcastle. The report, Coal and Health in the Hunter: Lessons from one valley for the world, states that there is serious harm to human health at all stages of the coal lifecycle, including mine development, mining activities, coal transportation and combustion. “The risks to health can be both physical and psychological, and arise from direct causes such as air pollution and water contamination, and less directly from economic burdens, emotional distress, social conflict, ecological degradation, loss of biodiversity and climate change,” it states. The data shows that some towns in the Hunter with close proximity to mines have higher levels of particulate air pollution than inner-Sydney suburbs, and that all towns in the region exceeded the national guidelines for particulate pollution on multiple occasions. In addition to particulate pollution generated at each stage of the coal lifecycle, there are also health impacts from other pollutants produced from mining and burning coal including sulphur dioxide, oxides of nitrogen, carbon monoxide, hydrochloric acid, volatile organic compounds and polyaromatic hydrocarbons. In a summary for policymakers that accompanies the report, the authors note that despite the proven and costly impacts of the coal industry, recent changes to planning laws remove the rights of communities to contest proposed projects. 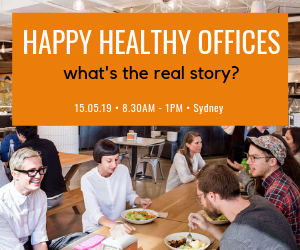 “The views of health experts and community members have little impact on policy and approvals, and projects are failing to account for greenhouse emissions, human health and broader environmental impacts,” it states. In addition to Hunter-specific measures, CAHA’s policy recommendations apply the issues identified in the Hunter to a national canvas with a call for limits on transport-related diesel emissions, new air quality guidelines that comply with World Health Organization standards, stricter monitoring and compliance regimes, and the establishment of a national environment protection agency that can ensure “decisions are made in the national interest, not in the short-term interests of state or territory budgets”. The annual medical costs would be just the tip of the ‘coalberg.’ What of the annualised costs in the destruction of finite producive lands, that are the lifeline for the thoroughbred, farming, wine & related industries that support communities?. What of the costs in contamination of natural aquifiers that sustain everything below & across national land borders? Costs? Add multiple 0’s! a)	coal is already costing more than the cost input to the economy through taxes etc. It is stupid accounting to only look at one side of the ledger to make pronouncements that coal ( or any product) is economically sound, if you do not also balance it with the direct costs arising from using that product. FURTHERMORE! That calculation did not factor in social costs, environmental damages, NOR any contribution to climate change. When these costs are included, the harsh reality hits home with the force of a mallet to the head. b)	These calculations are based on reputable sources – ie based on scientific evidence, not flaky ones from the ill-informed media, and people on the payroll of the coal companies. Secondly, renewables have NOW proven themselves to be cheaper to produce electricity than coal! So we already have alternatives. So may I respectfully suggest you get informed with Real Facts, not the pro fossil fuel industry PROPOGANDA. Try reading some scientific literature! From any university. Or the IPCC reports! I pray that Australia’s leadership is more intelligent than the President Obama. If he gets his way most of the U.S. will be dark, and the poor and lower-middle class will not be able to afford electricity or any of the goods that depend on the electricity to be produced in the U.S. That’s a lot of stuff, by the way. We don’t have a good alternative to coal yet, at least one that is affordable. It’s too soon to kill coal, especially when the technology exists to make it cleaner and safer. Be strong, Australia. These are not experts. We think coal should be eliminated as a matter of urgency.